I am learning that food does not have to be time consuming and filled with a lot of direction to be delicious. In fact some of my favorite dishes are super easy. Almost too easy to do a whole post about. Easy dishes are sometimes necessary when life gets busy though. This papaya fruit salad is super simple. So simple, in fact, you probably don't need a recipe for this, just a picture-or maybe you do. Maybe someone out there is looking for inspiration to change their morning routine. Maybe someone is looking for an easy dessert to serve at a baby shower. Maybe someone just likes fruit and wants to display it differently, like in a half of a papaya. I don't know, maybe someone really does need the recipe. Blogging is so simple but sometimes it becomes challenging. When we, as bloggers, put ourselves out there for the world to see and read our recipes and our experiences we are subjecting ourselves to the world. This world, at times, is very critical. We all have our opinions but sometimes those opinions are taken as "the standard". I love sharing food ideas with my readers and I have my style of photography, writing and content. Every blogger has there own unique style and this is why we love those that we follow. I follow a lot of bloggers that inspire me daily. I like to believe that there is a place for all types of bloggers in this HUGE cyber world. The bottom line is that we are all doing what we love, or I hope we are. If not, then stop or take a break. I did to have a baby and I returned to find my readers still here. We all go through a similar growth when we start blogging. We don't all cook and write at the same level. We are not doing it for all of the same reasons. I learned how to define my point of view, how to engage with readers, how to use Blogger, how to use social media and I joined some amazing groups. Mostly from my friends-- friends that I would have never met if I had not started my blog. I could not have done it without them. Three years later and I still enjoy it. 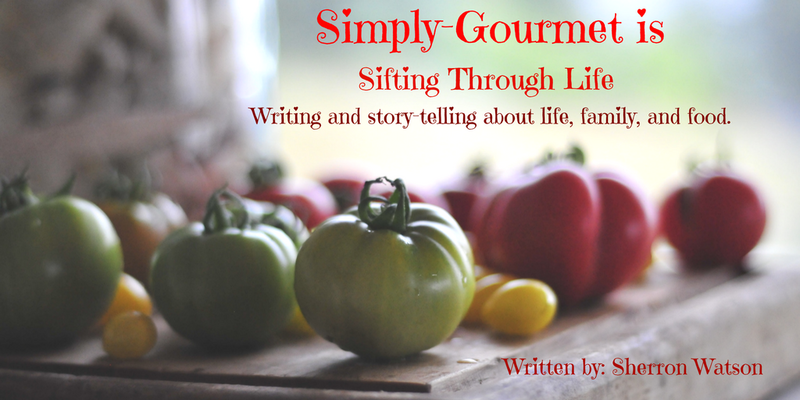 "It" being the recipe developing, testing, writing and feeding my family. I just get sad when I read opinions that tear down what someone else is doing. I know the work and sacrifice that goes into blogging. I have learned to ignore some comments, ignore readers who are having bad days and to hold onto all of the positive energy that I receive through my work on this blog and through this process of putting myself out to the world on a weekly basis; it has made me a better person, friend, wife and Mom. One critical comment can ruin your day or make you rethink this journey. Some say you need to have "thick skin". I had thick skin as a kid and I don't want to have to "have" that ever again. I live a simple life, searching for simple and lovely things. I feel that I have been able to find that with my blog. Those of us that blog, are sharing our lives, our families, our grandmothers, and our histories with our readers. 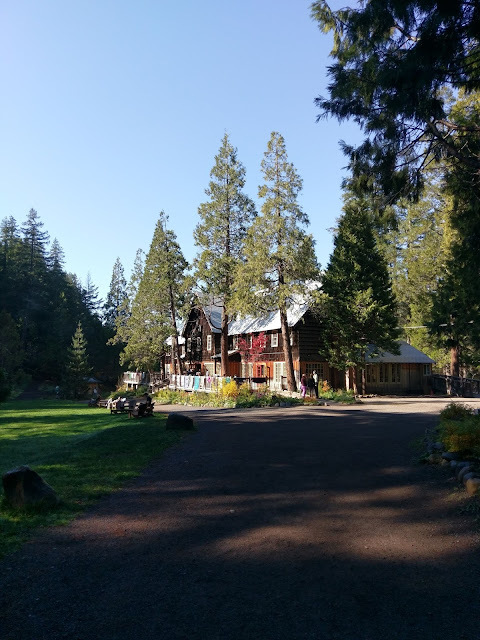 We are hoping that we are connecting with a group of like minded people who empathize with each story that is shared. Our experiences and journey allow readers to connect, share, and imagine-- through the life of someone else--adventures and time travel ( I wish..LOL). My own experience with reading blogs has taken me around the world and into blogger's kitchens, homes, and families. We see pictures of their weddings, grandchildren, new homes, son's graduation, daughters first job--and even their sadness. We become connected to their story. I think there is plenty of room in this blogging universe for everyone, the beginner blogger all the way to the TV Food Network Stars. With a whole lot of experience and bloggers in between the two. There is plenty of room for our opinions too but that doesn't mean that we should always express them. In my opinion. Let's allow the beginning bloggers to have their fun with all of the props that we once thought were fun and cool. Let's let the home cooks (me included) have fun with every fad ingredient without judgement. Let's let those that are learning photography learn through picture taking--that includes the good, the bad and the ugly (I have had a few in each category--LOL). Let's allow bloggers to make mistakes and have a few imperfections. Enjoy this utterly simple fruit salad. The great thing about this recipe is there really is no recipe like I said above. You can simply look at the picture and figure it out. BUT--if you need a list, then see below. Use anything you want for the filling. Top the fruit with your favorite yogurt and granola to make it simply gourmet. I love my readers! You have made my blogging journey a wonderful experience! 1. Prepare papaya by cutting in half and removing seeds. 2. Wash and prepare above fruit. 3. 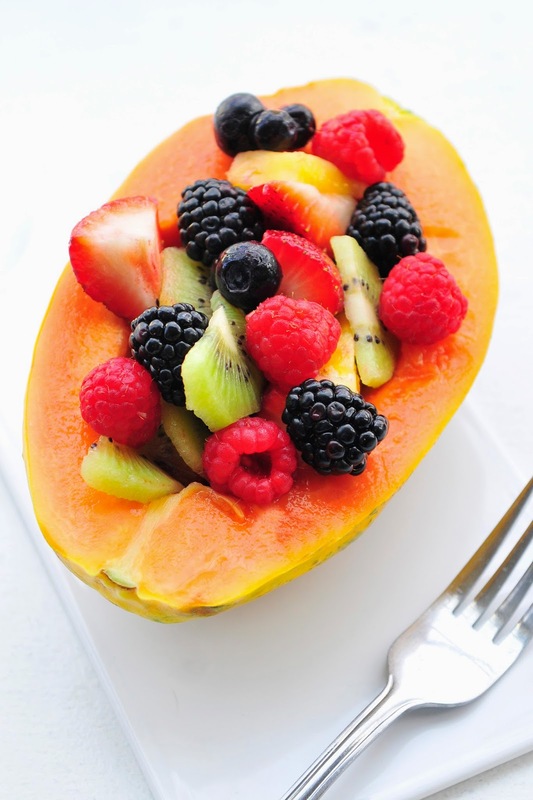 Serve fruit inside papaya with your favorite fruit dressing. Congrats on your 3 years of blogging. And such true and honest words. What a great message! Yes, let's embrace all the bloggers out there and cherish the variety on the internet. Thank you Renee! I absolutely include you in that list of friends that have guided me through this process. Your patience with my inquiries have always been met with a willingness to help. I do appreciate all of your advice. Thanks again friend!